I thought you might enjoy a sneak peek of what I’ve been working on as educator-in-residence at the Isabella Stewart Gardner Museum in Boston. Here’s an excerpt from the guide to interpretive writing, more to come! Lack of authenticity implies a lack of respect for your audience. If you don’t believe what you’re writing, your readers won’t believe it either. 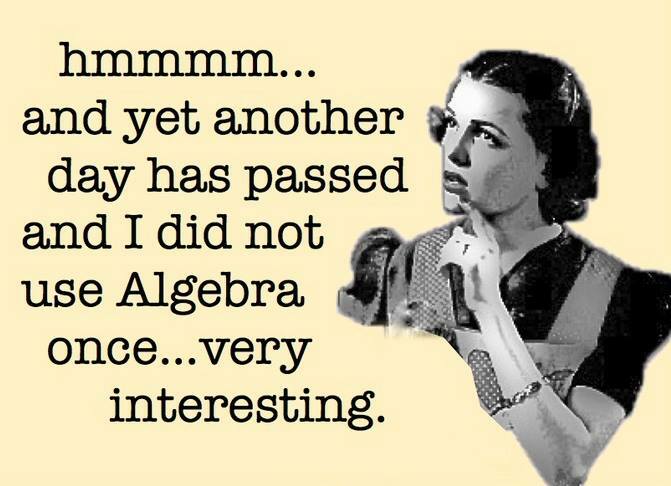 Consider this example about why middle schoolers should study algebra from the New Jersey math content standards : “Algebra provides procedures for manipulating symbols to allow for understanding of the world around us.” Really? Do you know anyone who manipulates algebraic symbols in order to understand the world around them? There’s a reason that we (and also the kids it’s supposed to address), see right through this. It’s not authentic. Writing authentically helps fix the potential problem of talking down to your readers too. If you don’t respect your readers they won’t respect what you have to say. The best advice I’ve seen on writing authentically is to write the way you talk. Your interpretive writing should be a conversation with the reader. As museum educators, we all try to be friendly experts when it comes to our visitors, and we care intensely about meeting the visitors where they are. Write as if you are talking to a visitor, sharing your enthusiasm about art, and your writing will be authentic. Questions on labels or in text produced for students, teachers or in a gallery guide are fine, but only if they’re authentic. Too often questions appear written on labels or gallery guides that ask in various ways: What do you think? It’s a rhetorical question, there’s really no one there to hear your answer and so it becomes an empty exercise. Worse, it implies that you haven’t been thinking up to that point and now you should think, which is downright insulting. Questions are good if they are authentic. One of my favorite labels with a question appeared years ago at the Walker Art Center next to a Mark Rothko painting. The label gave some information about the painting, and then at the end it asked: “Would your opinion about Mark Rothko change if you knew that his career ended when he committed suicide?” This is a tough question, but it’s authentic. One of the reasons I like it so much is that it indirectly invites people to consider other artists they may know of who committed suicide, and reflect on how this information colors their view of works of art, or not. 9 Responses to "Excerpt from My Guide to Interpretive Writing"
Kris Wetterland asks deep and though-provoking questions that I have always admired. Her publication is a gift to our community – when and how can we get it? Thanks Diana! The guide will be available here on Museum-Ed later this summer. Stay tuned and we’ll announce it when it’s up. Thank you for this. More often than not museum labels alienate the visitor. I really like the idea of injecting questions into labels. It’d be very interesting to have some sort of recording device, set up, in some exhibits, so we museum staff folk could actually ‘hear’ the conversations of audiences. I haven’t been involved in museum education for a long time but it seems as though there’s a disconnect between museum perception of audience needs and what they actually want. Can’t wait to see the whole piece! Thanks for this Jeanne, I do partly address your ideas in other parts of my guide, but I think you’re almost talking about representing a conversation about a work of art taking place over time on a label. I love this idea. Do you have an example of of what you wrote about, or were you dreaming about a perfect world of interpretation? If there is an example, send it along. If not, I hope someday there will be! I completely agree about including authentic questions in labels. My only beef with the Rothko question you quoted is that it’s a closed question – there’s a yes or no answer, and that’s it. I personally don’t think it provokes more thinking, but rather ends a discussion with a “final answer” rather than promote more dialogue, either internal or external – but then again, you did remember the question for a number of years so clearly it made an impact. Can a question be authentic AND be open-ended? Hi Claudia, I’m going to disagree with you here. If you take the question literally, it is a yes or no question, but if you consider the content of the question, or rather the spirit of it, I don’t think it fits the yes or no standard. In other words, I don’t think many people, upon reading the question, would simply answer yes or no in their minds and then move on. I think the question invites reflection. And I also think this is a great example of breaking the rules. Normally we (museum educators) do stay away from yes or no questions, but in this case breaking that rule works for me.